objects in a scene that do not have a 'UVW Map' modifier applied to them. This is useful especially for users who work with imported data from AutoCAD. The imported data contains uvw information, but in most cases the uvw coordinates need an overwork. This script makes it easier to isolate those objects in the scene. 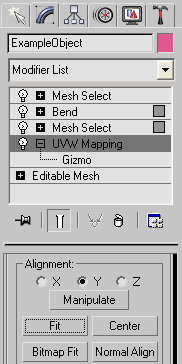 Simply drag and drop the script into your 3ds max viewport after the import process is finished, et voilà.